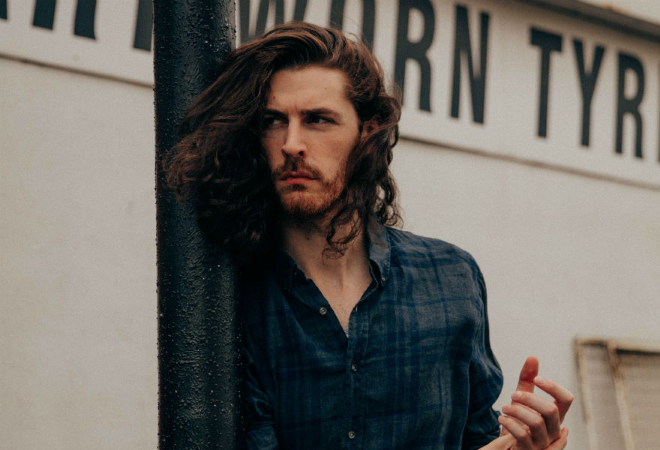 Hozier has announced details of his extensive UK & European tour for later this year, including a five-night residency at the London Palladium. The tour will be in support of the multi-platinum selling performer’s new album Wasteland, Baby! due out for release on 01 March 2019. The album follows the recent Nina Cried Power EP, which featured multi-Grammy Award-winning singer Mavis Staples and instrumentation by renowned Grammy Life Time Achievement Award recipient Booker T. Jones. The EP has accumulated over 27 million streams since its release last September, with the title track included in Barack Obama’s favourite songs of 2018 playlist as well as the subject of the Song Exploder podcast’s first episode of 2019. Hozier’s 3x Platinum debut single ‘Take Me To Church’ has sold 2.23 million copies in the UK to date. The track was nominated for Song Of The Year at the 2015 Grammy Awards, won Song Of The Year at the 2015 Ivor Novello Awards and BBC Music Awards, and took home the title of Top Rock Song at the 2015 Billboard Music Awards, where Hozier also won Top Rock Artist. Hozier’s critically acclaimed self–titled debut album has been streamed over 2.1 billion times on Spotify alone. The album has sold over 850 thousand copies in the UK, (and went platinum in the process), while the record has sold 4.4 million copies worldwide. Hozier’s total global streams now stand at 4.5 Billion. The music video for ‘Take Me To Church’ has been viewed over 250 million times on YouTube. He was nominated for Best International Male at the 2015 Brit Awards.